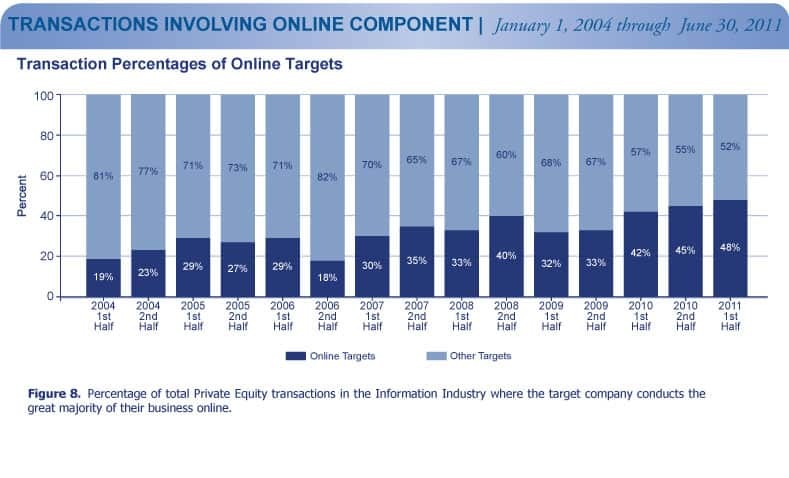 1st Half 2011 Information, Private Equity Industry Trends - Berkery, Noyes & Co., LLC. Thomas H. Lee Partners was also the most active acquirer in 1st Half 2011, with 10 purchases: FleetEyes, LLC., Contact One, Inc., Versult Group, Inc., Sword Insurance, Smoothstone IP Communications, Inc., PCLender. com, Inc., Unisfair, Inc., Twenty First Century Communications, Inc., i3 Clinical Development Businesses from Ingenix, Inc. and the aforementioned Acosta, Inc.
Total transaction volume in 1st Half 2011 increased by 11 percent over 2nd Half 2010, from 154 in 2nd Half 2010 to 171 this year. 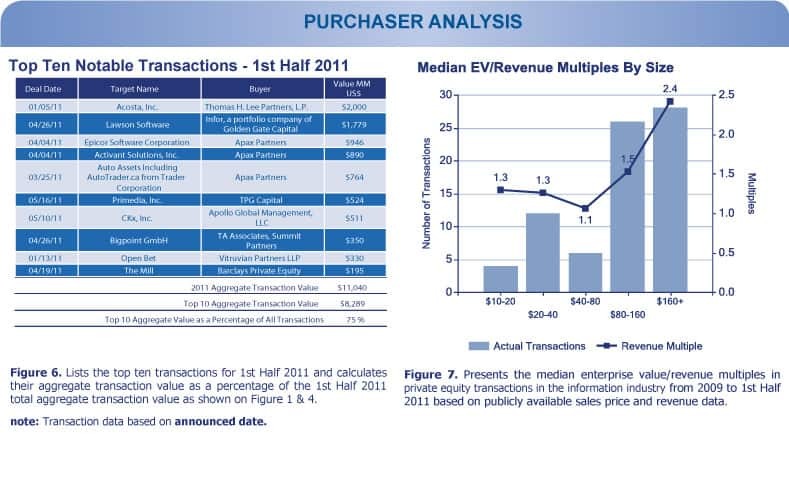 Total transaction value in 1st Half 2011 increased by 31 percent over 2nd Half 2010, from $8.4 billion in 2nd Half 2010 to $11 billion this year. 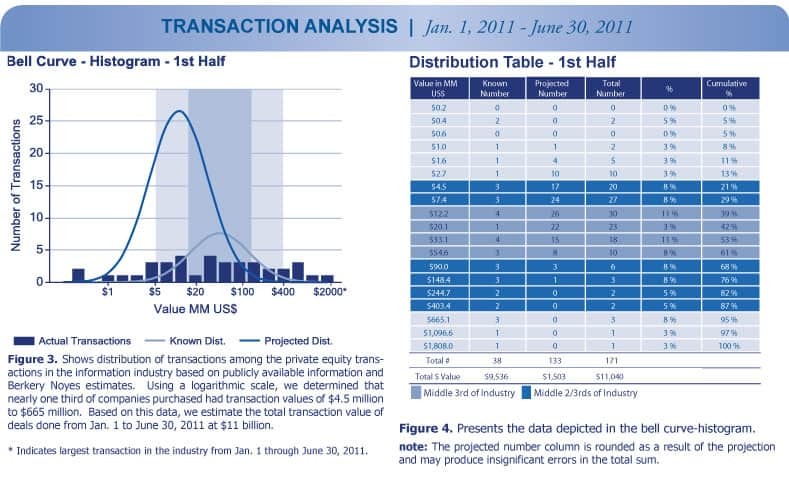 Berkery Noyes tracked 736 transactions between 2009 and 1st Half 2011, of which 225 disclosed financial terms, and calculated the aggregate transaction value to be $45.5 billion. Based on known transaction values, we project the value of the 511 undisclosed transactions to be $4.3 billion, totalling $49.8 billion worth of transactions tracked over the past two and a half years. 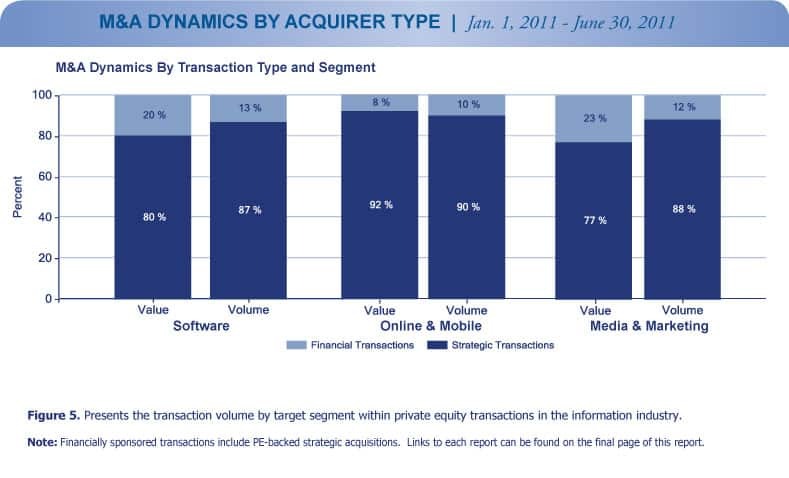 The largest transaction tracked by Berkery Noyes between 2009 and 1st Half 2011 was the acquisition of IMS Health Incorporated by TPG Capital and CPP Investment Board for $5 billion, which was announced in November of 2009. 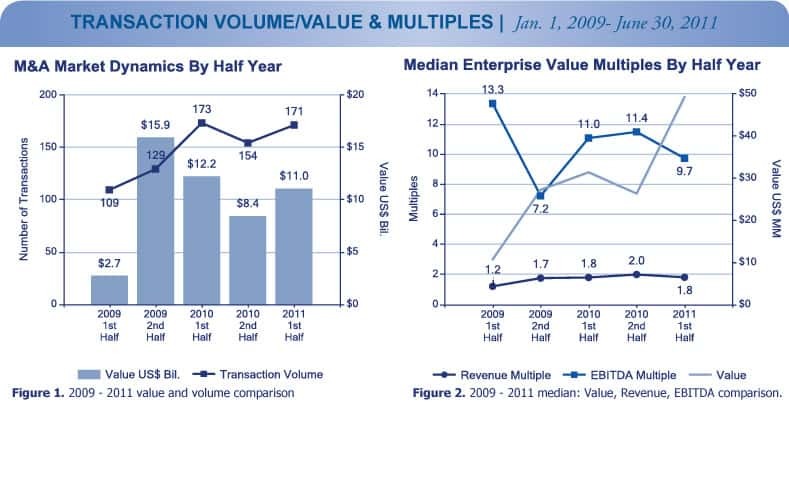 Of all the Private Equity transactions from 2009 to 1st Half 2011 within the Information Industry, transactions valued greater than $160 million garnered a median enterprise value multiple of 2.42 times revenue, which is 87 percent greater than companies who received transaction values of $10 to $20 million, as they captured a median transaction value of 1.30 times revenue.